Caption slip reads: "Daily. Photographer: Richardson. Date: 1953-01-19. Reporter: Swaim. Assignment: Narcotics. 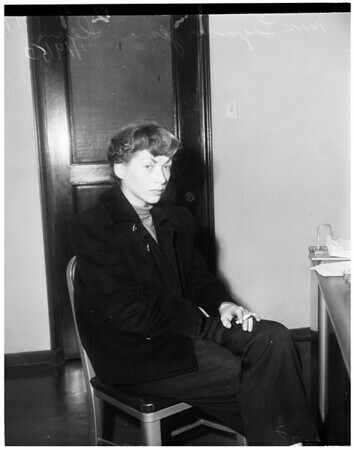 22-23-24: Mrs. Lynden Jean Dean, 19, arrested on narcotics charges. (Lynden is her own first name)."